This blog was created as a space to generate analysis and critical reflection on the theoretical and practical proposals of psychology and linguistics applied to language teaching. The purpose of this blog is to provide language teachers and students the information needed in the area of linguistics and psychology in order to be applied in their teaching critically and objectively. Second language acquisition is different from foreign language learning for different aspects. Acquiring a language is a process that takes place naturally. The person is not aware of structures and rules. The person repeats and imitates what he/she sees and listens to. That process also takes place in an immersion context. The learner is currently using the language and is more exposed to it, not only in a school, but in everyday life. In the process of learning a foreign language the process is more conscious. The learner is aware of the rules. The exposure to the language is less, sometimes it only consists on the time of the lesson. In addition, the language learnt is more standardized, whereas a student acquiring a second language is able to learn vocabulary and expressions that are currently used. I think that SLA has advantage on FLL for phonology, semantics and pragmatics. Students are more exposed to native speakers; therefore, they are more able to imitate the pronunciation. As mentioned above, they can learn the meaning of words by using them in a real context so missuses are less frequent and they can learn to interpret the what people really mean when speaking. 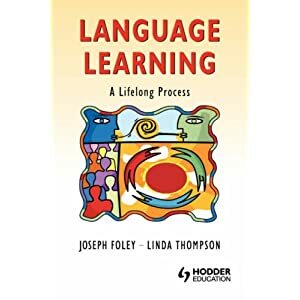 In contrast, foreign language instruction, despite communicative language teaching and constructivism, still focuses on grammar teaching; therefore students are more aware of rules and sentence formation. Gass, S., & Selinker, L. (2001). Second language acquisition. LEA. Pp. 1-13.